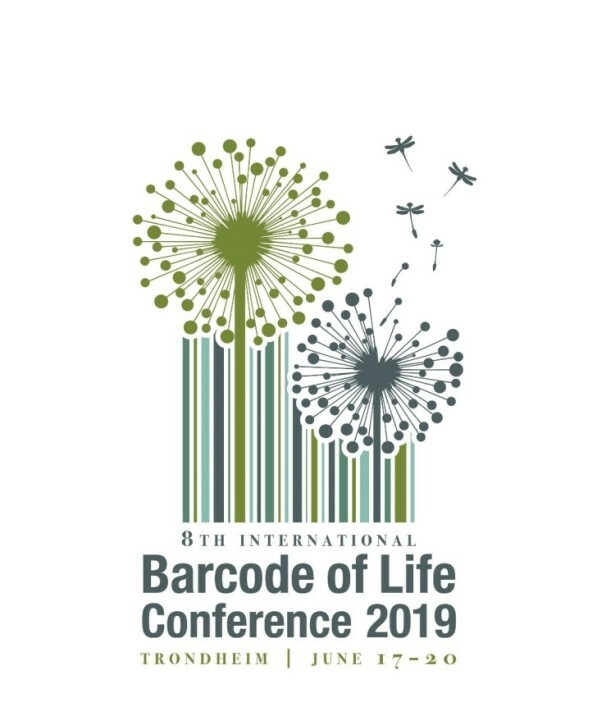 Every second year, the Barcode of Life Conferences bring together scientists, students, stakeholders and developers from all over the world to discuss the latest developments in, and the use of molecular tools to identify biodiversity on planet earth. The 8th International Barcode of Life Conference, hosted by the NTNU University Museum, the Norwegian Biodiversity Information Centre, and the Norwegian Environment Agency will take place in Trondheim, Norway, June 17-20, 2019. The iBOL Conferences have grown in both scope and size since their inauguration, and this year we expect close to 600 delegates from over 50 nations to attend the Trondheim meeting. Please see www.dnabarcodes2019.org for more information on the conference, city and venue. Global environmental changes, such as increasing carbon dioxide concentrations in the atmosphere or habitat transformations, are driven by social, economic and political changes in the human system (World drivers) as well as by biophysical, chemical and structural changes in the earth system (Earth drivers). The various drivers of global change often act simultaneously, but at different spatial and temporal scales, creating potential for interactions and feedbacks among the different drivers. Their impacts are thus hard to predict. The conference examines the impacts of these interacting drivers on biodiversity and ecosystem processes, and the services they provide, and how this affects human societies at local, regional and global levels. Since 1993 Trondheim Conferences on Biodiversity have created opportunities for increasing understanding amongst stakeholders about issues on the biodiversity agenda. They allow those involved in setting the agenda to learn and to share views and experiences with their peers. The 9th Trondheim Conference will bring together decision-makers and experts from around the world to discuss the global biodiversity framework being developed as a follow up to the Strategic Plan for Biodiversity 2011-2020. The Conference will directly support the process established by the Convention on Biological Diversity, with opportunity for major players to discuss key issues informally outside of the negotiation process. The University of La Réunion will be the venue for the next international Island Biology conference. 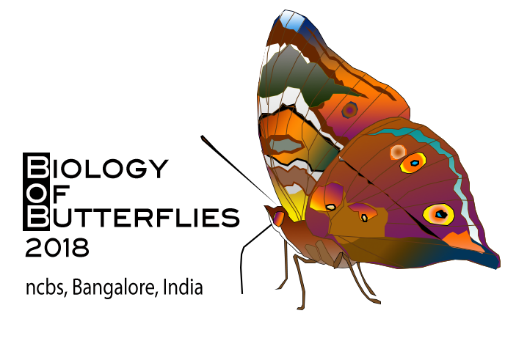 After Hawaii and the Azores, the third Island Biology conference will be held in July 2019 (8 - 13) on La Réunion in the heart of the Malagasy Region biodiversity hotspot, and its neighboring islands in the Southern hemisphere. At the crossroad of three major biogeographical regions of the World (Afrotropical, Indomalayan, Australasian), the Indian Ocean hosts islands of highly contrasting climate, from  tropical down to Antarctic conditions, and of highly contrasting size, from immense islands facing environmental challenges of continental scale down to small islands paving the way for restoration and rewilding projects. The conference will gather scientists from all over the World and practitioners working together on islands with particular emphasis on ecology, evolution, conservation and biogeography of terrestrial and marine biotas. SCB's 29th International Congress for Conservation Biology (ICCB 2019) will be held in Kuala Lumpur, Malaysia from 21-25 July 2019. The conference theme for SER2019 is Restoring Land, Water & Community Resilience. Inspired in part by the South African experience with Working for Water and related initiatives, the theme is intended to help keep discussion about developments in restoration research, practice, and policy focused on the big picture. Projects large and small are typically most successful and have the greatest impact when goals are set from alandscape-level perspective and when socioeconomic and cultural dimensions are incorporated from the start. South Africa provides ample opportunity to see and hear inspiring stories of restoration work that combines outcomes for land, water, and community development simultaneously. The 2019 International Conference: Adriatic Biodiversity Protection – AdriBioPro2019 (http://www.aquariumboka.ucg.ac.me/en/international-conference-adriatic-biodiversity-protection/) will provide updated scientific, decision-making and policy-relevant information across a broad array of different Adriatic issues, marine biology and related scientific disciplines. Emphasis will be on how state-of- the-art research on Adriatic biodiversity protection, conservation of coastal and marine areas and sustainable use of marine resources can contribute to policy- and decision-making. Particular focus will be put on the development opportunities which marine biotechnology can offer in the Adriatic. Organized to include plenary and breakout sessions covering both disciplinary and interdisciplinary perspectives, Conference results will be used in shaping future marine science priorities and policy in Montenegro and other Adriatic countries. The Conference is organized within a project “Marine Biodiversity Conservation Center “Boka Aquarium” (MonteAqua)” financially supported by The Royal Norwegian Embassy in Belgrade. The 20th Annual Texas A&M University Ecological Integration Symposium will be held on April 4th and 5th, 2019 at Rudder Tower and Theater at Texas A&M University in College Station, Texas. This year also marks the 20th year of Ecological Integration. Plenary speaker and student presentations will be spread across both days. The symposium will close with a speaker panel and awards presentation on Friday afternoon. As we face challenges brought by the climate change, population growth, water, energy and food shortages at global scale, advances in science and technology are igniting new interest in microbial biotechnology that will ensure sustainable futures through development of microbially-mediated advancements. Microorganisms with their majestic powers will continue to provide solutions and human and environmentally-friendly products and materials to be used by mankind. As a result, microbial genetic resources and their conservation are of immense importance for human beings. In line with these facts we have decided to organize the 1st MEBAC a Summit on the Conservation and Sustainable Use of Microbial Resources in Bodrum, Turkey in 26-29 September 2018. On behalf of the South Australian organising committee we are pleased to announce the 2018 Australian Marine Sciences Association (AMSA) conference. The 2018 Annual AMSA Conference will be held in the heart of the city of Adelaide at the newly renovated, world class Adelaide Convention Centre during 1st to 5th July. AMSA is Australia’s peak professional body for marine science with near 1000 members from diverse disciplines and workplaces throughout all states and territories. 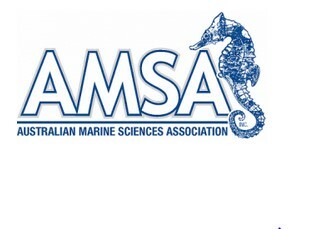 For over 50 years AMSA has promoted all aspects of marine science in Australia as a membership network of professionals and corporate affiliates as a not-for-profit organisation. The 2018 organising committee and the SA State Branch are thrilled to be your hosts for the 55th AMSA conference and we are pleased to invite you to Adelaide for what will be a showcase of a new era in Australian marine science. 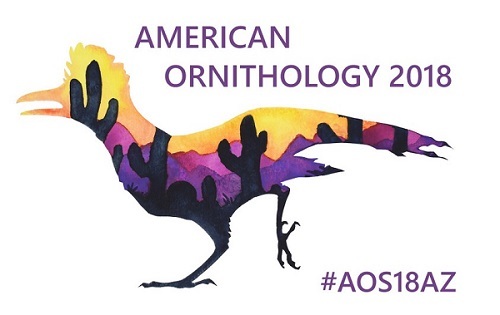 Please join us for the 136th annual meeting of American Ornithology and the second annual meeting of the American Ornithological Society, to be held in Tucson, Arizona, 9-14 April 2018. Following our long legacy, this meeting once again will offer a great opportunity for sharing and discussing scientific research in all areas involving birds. The meeting will place special emphasis on research and conservation focused on our 2018 meeting theme of Celebrating Connections: Birds Across Borders. The scientific focus is quite wide, presenting all aspects of community ecology and its connections to landscape ecology, multivariate statistics, systems ecology, vegetation science, macroecology and many other fields. The recently established IUCN SSC Mangrove Specialist Group, aims to support mangrove research and conservation projects by bringing together experts in the field to share their knowledge. Hosted by the Zoological Society of London (ZSL), the group aims to; assess the conservation status of mangroves; identify, quantify and prioritise threats; and develop plans to conserve the most threatened species and habitats. The Thermophiles-2017conference will be held in South Africa, providing an excellent platform for students and scientists to showcase world-class research, against the backdrop of one of the most charismatic environments on earth. We aim to provide opportunities for engagement, collaboration, knowledge exchange and the development of new ideas, while providing a relaxed atmosphere for social interaction and the appreciation of the unique Kruger National Park environment and its biodiversity. For further information please contact [email protected], or visit our website http://www.up.ac.za/thermophiles-2017. The International Mammalogical Congress is the premier international mammal conference, sponsored every four years by the IFM. It provides an important forum for professional Mammalogists wishing to remain updated on the latest marine and terrestrial mammal conservation topics, research concepts and techniques. IMC12 will bring together the diverse global community of professionals and students in the field of mammalian biology and facilitate collaboration through our international network of practitioners. The theme of IMC12 is Advances in mammalogy in a changing world, encouraging discussion of emerging themes, future challenges and novel solutions in mammal biology, conservation and management. The International Triticeae Symposium is an interdisciplinary conference organized by the International Triticeae Consortium, plant genetic resources researchers, and others. The previous seven were held in Sweden (1991), U.S.A (1994), Syria (1997), Spain (2001), Czech Republic (2005), Japan (2009), and China (2013). Its primary goal is to bring together outstanding scientists working with Triticeae to exchange information on progress and discuss future research directions with our common interests – to understand and effectively utilize Triticeae for the benefit of humankind. Plant research and its associated technologies have improved dramatically over the last 5 years as a result of the revolutionary breakthroughs in gene editing technologies and reductions in the cost of sequencing. Many plants have now been successfully sequenced and a wide range of biological data sets made available. As a result, plant scientists are now, more than ever, making use of state of the art technology platforms to help explain biological principals, advance research and confer benefits such as crop improvement and breeding by harnessing the greater understanding of plant genomes. We are delighted to invite you to Sfécologie 2016, International Conference on Ecological Sciences, the conference of the French Ecological Society (SFÉ) that will be held in Marseille, at the historic Palais du Pharo, with local organizing from the 'Institut Méditerranéen de Biodiversité et d’Ecologie' (IMBE). 29th International Symposium on the Chemistry of Natural Products and the 9th International Conference on Biodiversity” (ISCNP-29 & ICOB-9) will be held in İzmir-Turkey during September 24-27, 2016. The main objective of the conference is to emphasize the importance of natural product chemistry and biodiversity for sustainable development, and to promote novel research and collaborations, by bringing together experts and interested parties from all over the world and from diverse bodies from the academia to the industry and to governments. The conference will be a multidisciplinary event considering all the major areas of natural product chemistry, including synthesis processes, catalysis, environmentally benign solvents, education, policies, and many other interesting topics. Interfaces with other sciences and other research areas will be actively encouraged. The 5th Hydrology, Ocean and Atmosphere Conference (HOAC 2016) will be held in Suzhou, China, during July 25 to 27, 2016. The aim of HOAC 2016 is to provide a stage for researchers, engineers, academicians as well as industrial professionals from all over the world to present their research results and development activities in Hydrology, Ocean and Atmosphere. The 5-day conference covers all aspects of rodent biology, such as genetics, phylogeography and taxonomy, behaviour and behavioural ecology, physiology and sensory biology, population dynamics and ecology, parasites and diseases, invasions, evolution and systematics, applied ecology and rodent management. The ISLAND BIOLOGY 2016 international conference will bring together the expertise of a wide spectrum of research fields, in order to achieve a unified view of island biology. The conference will include poster presentations, plenary and regular sessions, and will host a high number of Symposia, aimed to accommodate specialized discussions in topical areas in Island Biology. Biodiversity, Global Changes, Conservation, Invasive Species, Evolutionary Biology, Species Interactions and Networks, Paleobiology and Biogeography are the key conference themes. The expectation is that the pioneering ideas, leading theories, novel methodological approaches and recent ground-breaking results presented at this conference will provide advances in island biology research and guidelines for the future development of this field. In a rapidly changing world where untouched ecosystems are vanishing and biodiversity will have to be maintained in human-modified and sometimes novel environments, reconciling conservation and sustainable use of biodiversity in the tropics has become a critical issue. The 53rd ATBC Annual Meeting focuses on this issue and aims to gather scientists from many different disciplines to exchange ideas, concepts and approaches, as well as to elaborate and promote innovations for the conservation of tropical ecosystems in the decades to come. The conference will aim to communicate recent advances in the aquatic biodiversity: assessment, monitoring, conservation and management, aquatic habitats - biodiversity interrelations, aquatic biodiversity and alien species, aquatic microbial ecology, food web interactions and aquatic productivity, wetlands biodiversity, research methods in aquatic ecology/biodiversity, ecologic reconstruction and the biodiversity, human impact and the aquatic biodiversity, global changes. 2013 2nd International Conference on Biotechnology and Food Engineering (ICBFE 2013) will be held in Singapore during 24-25 August, 2013. ICBFE 2013 is sponsored by the Asia-Pacific Chemical, Biological & Environmental Engineering Society (APCBEES). It is one of the leading international conferences for presenting novel and fundamental advances in the fields of Biotechnology and Food Engineering. It also serves to foster communication among researchers and practitioners working in a wide variety of scientific areas with a common interest in improving Biotechnology and Food Engineering related techniques. 2013 2nd Journal Conference on Bioscience, Biochemistry and Bioinformatics (JCBBB 2013 2nd) aims to provide a forum for researchers, pactitioners, and professinals from the industry, academia and government to discourse on research and development, professional practice in bioscience, biochemistry and bioinformatics. JCBBB 2013 2nd will be held in Hong Kong July 6-7, 2013. It is one of the leading international conferences for presenting novel and fundamental advances in the fields of bioscience, biochemistry and bioinformatics. It also serves to foster communication among researchers and practitioners working in a wide variety of scientific areas with a common interest in improving bioscience, biochemistry and bioinformatics related techniques. This Conference has a history of bringing together scholarly, government and practice-based participants with an interest in the issues of diversity and community. The Conference examines the concept of diversity as a positive aspect of a global world and globalised society. Diversity is in many ways reflective of our present world order, but there are ways of taking this further without necessary engendering its alternatives: racism, conflict, discrimination and inequity. Diversity as a mode of social existence can be projected in ways that deepen the range of human experience. The Conference will seek to explore the full range of what diversity means and explore modes of diversity in real-life situations of living together in community. The Conference supports a move away from simple affirmations that ‘diversity is good’ to a much more nuanced account of the effects and uses of diversity on differently situated communities in the context of our current epoch of globalisation. The aim of the conference is to encourage and facilitate interdisciplinary communication between scientists, engineers, economists and professionals working in ecological systems and sustainable development. Emphasis is given to those areas that will benefit from the application of scientific methods for sustainable development, including the conservation of natural systems around the world. The conference objectives have evolved over the years, seeking to integrate thermodynamics, ecology and economics into ‘ecodynamics’. The aim objective of the 2013 2nd International Conference on Bioinformatics and Biomedical Science (ICBBS) is to provide a platform for researchers, engineers, academicians as well as industrial professionals from all over the world to present their research results and development activities in Bioinformatics and Biomedical Science. Previous ICBBS 2012 was held in Bankok, Thailand respectively. The 2013 2nd International Conference on Bioinformatics and Biomedical Science will be held in Kuala Lumpur, Malaysia during June 8-9, 2013. In spite of the importance of oligochaetes, there are presently some serious deficiencies in the knowledge about their taxonomy, distribution, biology and ecology, in comparison with mammals, birds, lizards and other organismal groups. One way to bridge this gap is to bring together scientists working on the subject with the aim to speed up information about the progress in their work, exchange ideas and encourage them to cooperate. This is the basic idea behind the organization of the International Oligochaeta Taxonomy Meetings (IOTM). So far, five successful meetings took place. Traditionally, the meetings concentrate mainly on Oligochaete taxonomy and phylogeny, but also discuss different aspects from other scientific fields, e.g. earthworm ecology, faunistics and phylogeography as well as new methods of their study. The aim of the ICBFS 2013 conference series is to provide a forum for laying the foundations of a new principled approach to Biotechnology and Food Science. To this end, the meeting aims to attract participants with different backgrounds, to foster cross-pollination between different research fields, and to expose and discuss innovative theories, frameworks, methodologies, tools, and applications. 2013 3rd International Conference on Life Science and Technology (ICLST 2013) will be held in Dubai, UAE during 19 - 20 January, 2013. ICLST 2013 is sponsored by the Asia-Pacific Chemical, Biological & Environmental Engineering Society (APCBEES). It is one of the leading international conferences for presenting novel and fundamental advances in the fields of Life Science and Technology. It also serves to foster communication among researchers and practitioners working in a wide variety of scientific areas with a common interest in improving Life Science and Technology related techniques. Welcome to the official website of the 2012 International Conference on Biodiversity and Climate Change-ICBCC 2012, which will be held during 29-30, December, 2012, in Hong Kong. ICBCC 2012, aims to bring together researchers, scientists, engineers, and scholar students to exchange and share their experiences, new ideas, and research results about all aspects of Biodiversity and Climate Change, and discuss the practical challenges encountered and the solutions adopted. The aim of the ICBEC conference series is to provide a forum for laying the foundations of a new principled approach to Biology, Environment and Chemistry. To this end, the meeting aims to attract participants with different backgrounds, to foster cross-pollination between different research fields, and to expose and discuss innovative theories, frameworks, methodologies, tools, and applications. The ICBEC 2012 is Co-sponsored by Asia-Pacific Chemical, Biological & Environmental Engineering Society (APCBEES), and supported by CBEES Members and scholars from universities all round the world. Submitted conference papers will be reviewed by technical committees of the Conference. Welcome to the official website of the 2012 International Conference on Life Science and Engineering-ICLSE 2012, which will be held during 27-28, October, 2012, in Hong Kong. ICLSE 2012, aims to bring together researchers, scientists, engineers, and scholar students to exchange and share their experiences, new ideas, and research results about all aspects of Life Science and Engineering, and discuss the practical challenges encountered and the solutions adopted. Successful organizations need culturally competent employees who can cross borders and navigate different cultures. This conference is ideal for D&I professionals and HR professionals who want to increase their credibility in their organizations, are willing to be bold and deal with tough issues, and want comprehensive strategies for D&I success. The Biodiversity Information Standards (TDWG) Executive Committee is pleased to announce that the 2012 TDWG annual conference will be held on October 22-26, 2012 at the China People’s Palace in Beijing, China. Professor Keping Ma, Deputy Director, Biodiversity Committee, Chinese Academy of Sciences is Chair of the Local Organizing Committee; Yinan Liu, Deputy Director of the Office of the Biodiversity Committee, Chinese Academy of Sciences is the Meeting Manager and Rusty Russell, Collections Manager at the National Museum of Natural History, Smithsonian Institution, is Chair of the Program Committee. The Conference of the Parties is the governing body of the Convention, and advances implementation of the Convention through the decisions it takes at its periodic meetings. To date the Conference of the Parties has held 10 ordinary meetings, and one extraordinary meeting (the latter, to adopt the Biosafety Protocol, was held in two parts). From 1994 to 1996, the Conference of the Parties held its ordinary meetings annually. Since then these meetings have been held somewhat less frequently and, following a change in the rules of procedure in 2000, will now be held every two years. The Tenth Ordinary Meeting of the Conference of the Parties to the Convention on Biological Diversity was held in Nagoya, Japan (18 - 29 October 2010). Biodiversity-2012 paves a path to move towards the nature respecting the beautiful lives comprising the diversity. The conference states a call to the scientific community to take the social responsibility saving the mother nature and providing a ground to explore the survival opportunities by sharing thoughts through scientific research and applying them into social life. Biodiversity-2012 shares the opportunity to bring together researchers from academia and corporate, activists, ecosocial organizations and NGOs to foster collaborations through the research talks & presentations to put forward many thought provoking strategies sharing the common agenda of biodiversity conservation. Because of social changes in Poland and Europe social researchers are more and more interested in the transformations of collective identities. One may think national identity is less and less significant (at the expense of e.g. increasing role of local and regional identities) but many conflicts emerging form the attempts of migrants’ assimilation or treating refugees may be a proof that it is still a strong affiliation. Moreover, because the influence of institutions such as family or religion is weaker, the impact of organizations as work places of secondary socialization is becoming of major importance. Companies are therefore objects shaping identity. The main scientific problem of this conference is to discuss the role of nations, regions and organizations in creating cultural identity and search for the border where cultural diversity does not facilitate integration, or to specify a level or degree of cultural diversity which is not functional any more. In pursuance of the Philippine Climate Change Act of 2009 and in celebration of the International Year of Biodiversity, the Commission on Higher Education and the Department of Environment and Natural Resources (DENR) are jointly organizing an International Conference on Biodiversity and Climate Change, with the collaboration of DIVERSITAS, ASEAN Center for biodiversity (ACB), World Wildlife Fund (WWF), Commission on Climate Change (CCC), Protected Areas and Wildlife Bureau, Philippine Council for Agriculture, Forestry and Natural Resources Research and Development (PCARRD) and the Philippine Council for Aquatic and Marine Resources Research and Development (PCAMRRD). - Identify strategies for mitigation and adaptation, including education and advocacy. - Link potential donors, and research experts and educators for the conduct of future research and implementation of programs on biodiversity conservation and climate change adaptation and mitigation. The Institute for the Study and Promotion of Race and Culture at Boston College invites you to join us for the Institute's tenth annual national conference in the suburbs of Boston, a city known for its struggles and efforts to address issues of racial and ethnic cultural diversity in U.S. society. The Institute was founded in 2000 at Boston College, under the direction of Dr. Janet E. Helms, to promote the assets and address the societal conflicts associated with race and culture in theory and research, mental health practice, education, business, and society at large. The Institute solicits, designs, and distributes effective interventions with a proactive, practical focus. Each year the Institute addresses a racial or cultural issue that could benefit from a pragmatic, scholarly, or grassroots focus through its Diversity Challenge conference. The theme of Diversity Challenge 2010 is Race and Culture in Teaching, Training, and Supervision. The conference will be held on October 15-16, 2010. The Multicultural Association of Nova Scotia (MANS) is pleased to host the "Creating Bridges: Multiculturalism and Diversity in the 21st Century" conference taking place on October 13 - 15, 2010 at the Best Western Chocolate Lake Hotel in Halifax, Nova Scotia, Canada. Since 1975, MANS has been Nova Scotia’s preeminent multicultural organization, offering policy development, advocacy and educational programs for and in partnership with stakeholders from various sectors. In 2010, Creating Bridges: Multiculturalism and Diversity in the 21st Century will feature the themes of multiculturalism and diversity within a range of communities and against the backdrop of the 21st century. Join leading thinkers and practitioners in multicultural and diversity affairs in Halifax, Nova Scotia, Canada, affectionately known as “Canada’s Ocean Playground.” Located on Canada’s East Coast, Halifax boasts a fascinating history, thriving downtown, award-winning restaurants and true maritime hospitality. Enjoy the beautiful fall colours of Halifax, Nova Scotia while attending MANS’ 2010 Creating Bridges conference. The options regarding oral presentations or poster displays will be evaluated and accepted based on availability of physical space and time available for such presentations and/or displays. The main topic of the meeting will be "Succession, restoration and management of dry grasslands". Institute of Botany, Slovak Academy of Sciences. The main topic will be "Vegetation databases and climate change". The meeting is organised by the section "Vegetation databases" of NetPhyD. 31 August–2 September 2009 6th Meeting of the European Dry Grassland Working Group - \"Species interactions and distributions\"
The main topic of the meeting is „dry grasslands – species interactions and distribution“. All interested persons from European countries are invited to present talks or posters related to this topic. This includes contributions from small scale population biology studies at selected dry grassland sites up to large scale dry grassland vegetation studies covering the distribution range of whole syntaxa or species groups. The main focus is on plant species occurrences and interactions, but studies involving other organismic groups are also welcome. Additionally, oral or poster presentations on large-​scale classification of dry grasslands and classification methods are encouraged. Reports on national or regional vegetation databases containing dry grasslands relevés are equally welcome.